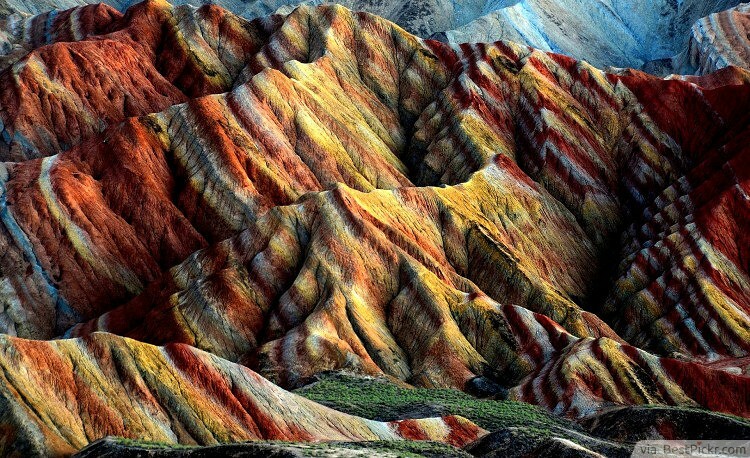 This place is located at a geological park in the Gansu province. 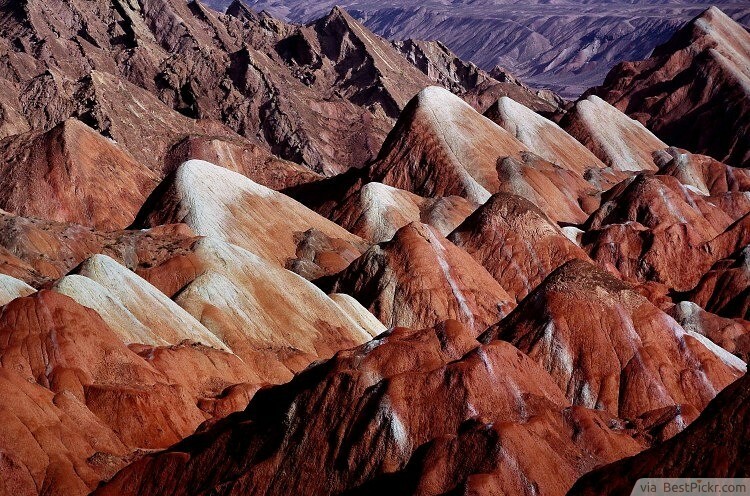 Layers of vibrant color surround this landscape. It took 24 million years of laying down mineral deposits with red sandstone to form there beautiful rock formations. However, the natural elements were the real artists here. Wind and rain eventually carved shapes into the rocks, forming towers, waterfalls, natural pillars and valleys. The colors vary from deep red, to yellow and green and the contrasting bands of color glow intensely after rainfall. As the sun sets it casts golden rays upon this wonder, intensifying a lacework of shadows into mesmerizing patterns that you usually only see in fantasy paintings. 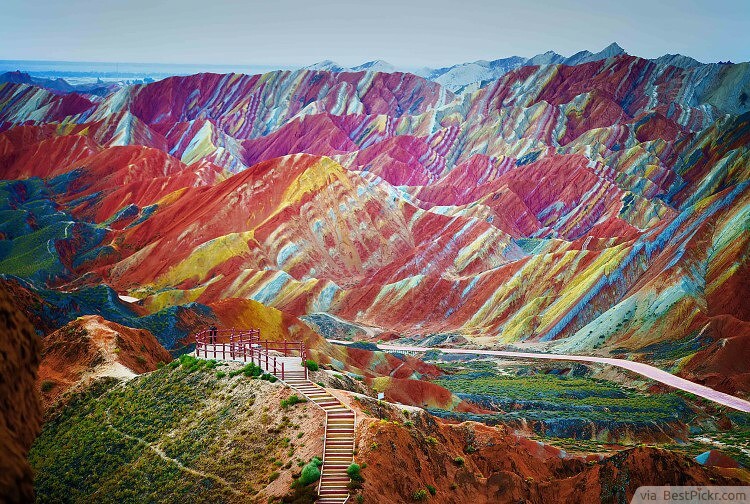 The visual effects then become even more fascinating, making it the most beautiful place in China to visit for holidays.